I worship whatever my life revolves around. I worship whatever my happiness and depression hinge upon. I worship whatever I build my life upon. This sermon series includes a weekly Bible Reading Plan. Each week we read in preparation for the sermon coming next week. 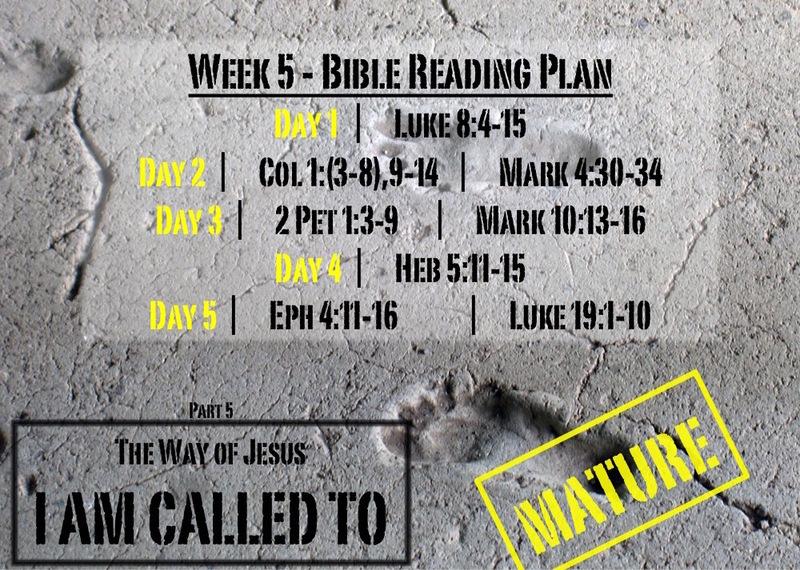 Next week we will discuss The Way of Jesus - I am called to MATURE, so this week we will be reading about maturity and spiritual growth using this WEEK 5 READING PLAN. Tips and suggested questions available on the PDF. Posted in Sermons and tagged Bob Dylan, Christian Worship, Foundation, I Will Worship, Idolatry, Jesus, What Is Worship, Worship.